for as Little as $199 a Month! 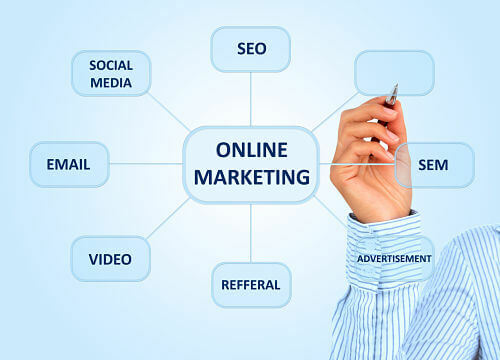 We take a holistic approach to your digital advertising. With your website at the center, we leverage Social Media, SEO, SEM, and email Campaigns, coupled with best practices for capturing and cultivating leads. When Linked In is used as the business persons’ Social Media Platform, it can be a tremendous tool for branding and business-to-business advertising. Linked In is also extremely effective for acquiring new talent for your organization. We provide daily, industry-specific posts to Linked In to stay in front of the business community. Twitter users are extremely engaged in that platform. Google is now indexing Tweets in their search engine. Daily posts on Twitter that use industry-specific hashtags can be a powerful tool in generating customer interest, as well as Search Engine Optimization. Facebook is the largest of all Social Media Platforms. In addition to creating a professional Facebook business page, we post business-specific, daily posts to engage your customers. Google+ has become a necessity for Search Engine Optimization, as well as being found on mobile devices utilizing Google Places. We not only set up your Google+ and Google Places accounts, but also make daily, business-specific posts to drive traffic to your website. You never know what social media platform your customer is on. Each Social Media site serves a specific purpose, and we maximize them all!